You know how they say “Don’t judge a book by its cover”… well, sometimes that is exactly what you SHOULD do when looking at dodgy garden shed displays. So on our walk around and checking out their stock you won’t BELIEVE what we saw in their garden sheds display. We Were Shocked at the Dodgy Garden Shed Display! 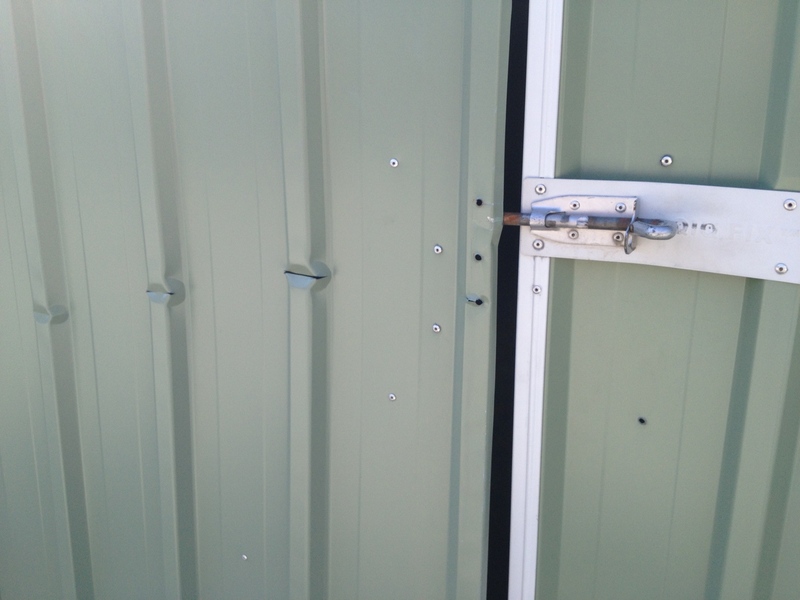 Have dents or holes in the doors, walls or roof which have no purpose. 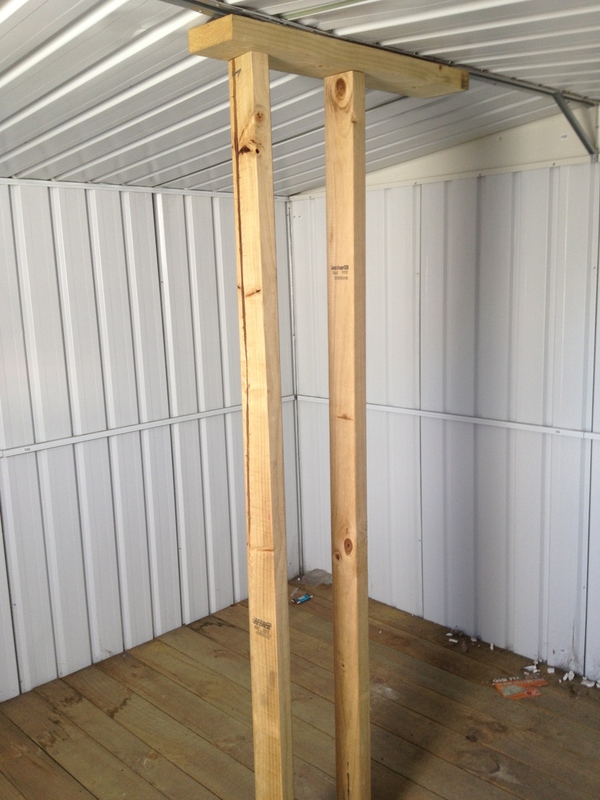 Have a DIY timber pillar supporting the roof (one that is not part of the structure). Your door should not be bent and not close properly. Poor DIY design – If the handymen at this major hardware store couldn’t put it together properly then what hope do you have? Low quality steel – Good quality steel does not dent, bend or damage easily. 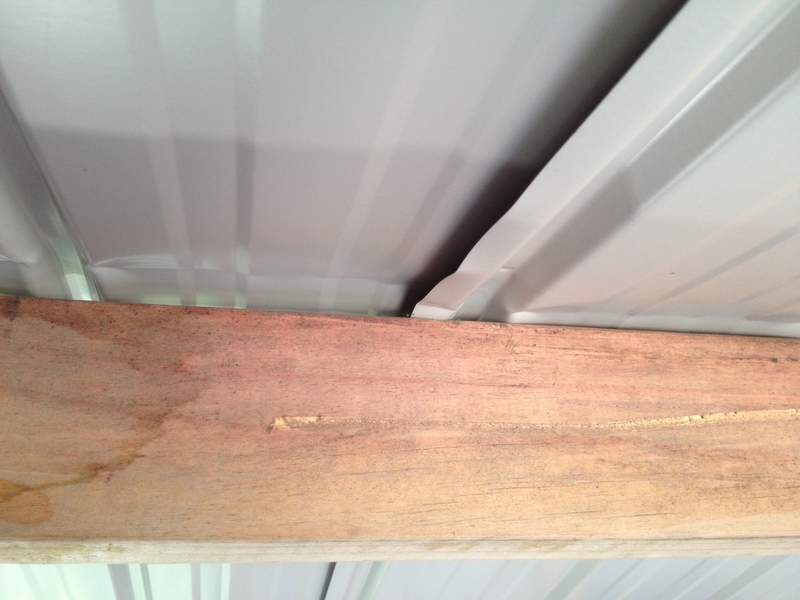 Only low tensile inferior steel products are susceptible to this damage. Now, I am not saying that all retailers or products are like the ones we discovered, however, it certainly was a red flag. 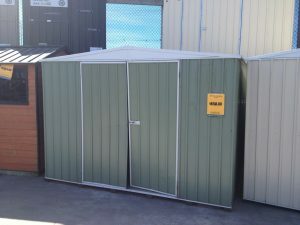 It reminded us why it’s important to stick to our beliefs of only providing quality Steel Garden Sheds at Cheap Sheds.